Well I broke my in-dash cup holder the other week and so here is the steps I took to replace it. Let me tell you right now, this wasn't a nice job to do and you can if not careful break dash parts as well as new in-dash cup holder, so be warned, take you time and be careful when doing these steps. So here is my issue with my in-dash cup holder. The part inside that holds cup broke , I tried glue but it didnâ€™t work, thus why replacing. 1. Remove trim piece above the in-dash cup holder. Do this by two barbed prongs that hold it in place. You need to put small screw driver or paint can opener to push them and trim piece will then pop off. Bentley manual says to open the glove box to pull on it using tool #3370. This substitute "tool" wouldn't fit so I opened the beverage holder and carefully pulled from there until it was out far enough to pull from the top edge. 2. Remove cup holder from dashboard. This is part to be careful, advised to tape the dash for protection when prying, the unit out. Bentley manuals says to remove Radio first. I didn't remove the radio, which is why the bottom of cup holder got caught on the radio, so had to use flat screwdriver to push it over radio and same when you install. Cable is connected to the back of unit, using your fingernail, pop open the clip and the cable will then be able to be pulled out. 4. Take the new in-dash cup holder and make sure it works properly (hopefully you did that before hand) and now connect up the cable to back of new in-dash cup holder. 5. Now slide the new in-dash cup holder into the dash, in picture below you can see top clips that hold it in place. 6. So just like when you un-installed the cup holder, you need to make sure the bottom clip clears the radio, do this by using screw driver, but here is a tip, put tap over screw driver to stop scratching top of radio. 7. Last part is put the trim back on dashboard that goes above the in-dash cup holder. 4. Find new SATNAV unit. Waiting for weekend so can get tyres taken off wheels, so can start repairs and then get them powder coated white on inside parts and silver on the face. here is picture of wheels today, not alot of damage, but they don't look good. 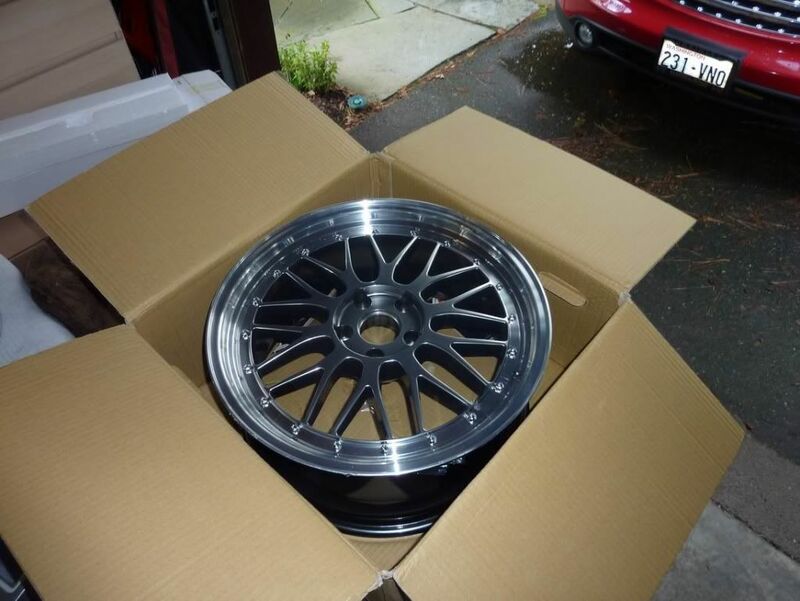 Powder coat paint ordered for wheels this morning, ETA 1 week - Porsche Silver & Pearlized white. This gives me time to clean up wheels this weekend and then following weekend powder coating time. 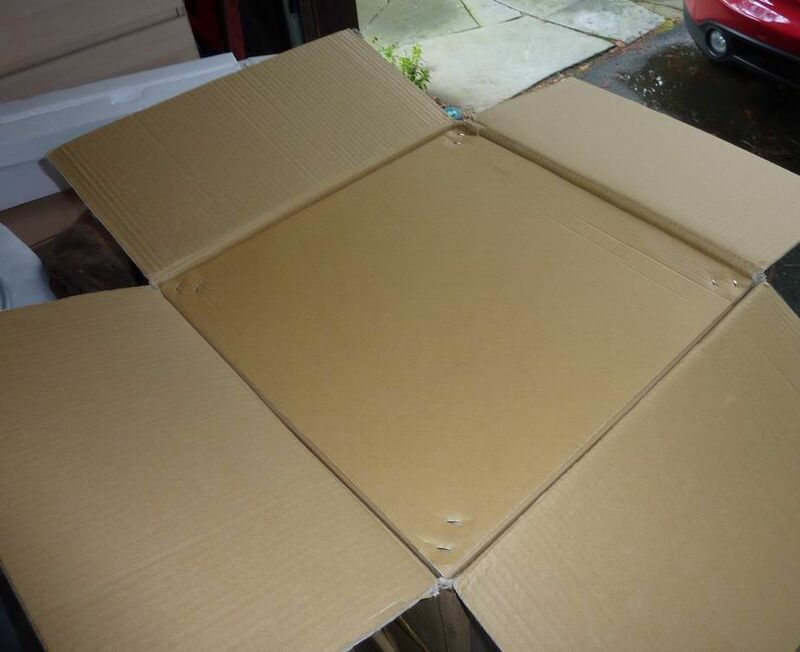 Here are the details of how I jacked up my Audi A4 (b6) Avant and took all 4 wheels off, so they could be repainted. the car to fall of jack stands. WARNING: Do not reply on the transmission or parking brake to keep the car from rolling. 3. You need to make sure you understand where the jack and jack stands are first before you do anything, or else you will do damage to your Audi. Here are two pictures of front and then rear on audi, showing areas to jack up the car and put jack stands. I will have more pictures of this later in steps. 4. 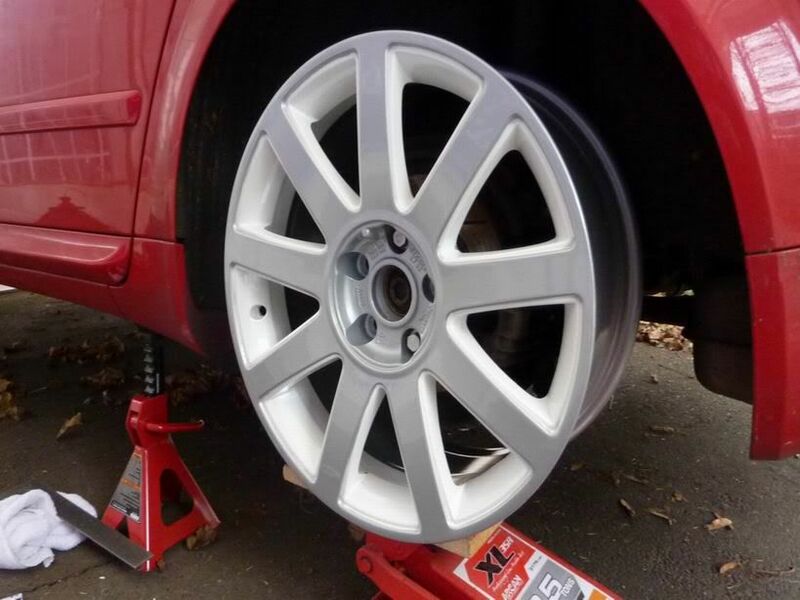 Before you go jacking up your Audi, its important to loosen lug bolts slightly, this makes it easier to undo bolts when the wheels are jacked up off the ground. Before you can loosen the bolts, you need to take off the center caps from wheels. To do this without damaging the center caps or your wheel, take 2 x small screw driver and put tape on the end of screw drivers. 7. So you are now ready to jack up your Audi. I started with the rear. 8. Using the Step 3 information, I placed my jack under the rear trailing arm and start to jack up. I took my time to make sure I got the right spot and that the car would not slip off the jack. As you jack up the car, the whole rear will lift, so be careful. 9. I jacked the car up enough so I could get jack stands underneath both sides of the audi and place in jack stand point as outlined in Step 3. I then lowered the car slowly until it rested firmly on the jack stand and then removed the jack. 10. Now ready to jack up the front of the car. I took my time to make sure I got the right spot and that the car would not slip off the jack. As you jack up the car, the whole front will lift, so be careful, specailly as the rear of the car is on jack stands too. I then placed the jack stands in correct location as outlined in Step 3. I then lowered the car slowly until it rested firmly on the jack stand and then removed the jack. The car is now fully supported on jack stands. 11. Time to unbolt the lug bolts on each wheel. One wheel at a time, using 17" socket and racket, pushing down on racket and turning (anti-clock wise) until the lug bolt is properly unscrewed and you can take out by hand. Repeat this step on each lug bolt per wheel (4 wheels with 5 lug bolts each) On the last lug bolt for each wheel, support the wheel so you don't damage last lug bolt. Take off each wheel and place on ground facing up. If the wheel won't come off, a slight kick to the tires will help. 12. I have spacers on my audi (10mm) and these where all stuck to the wheel, so if you have this happen to you, all you need to do is using a hammer, tap the side of the spacers all the way around and they will pop off. Next job is to clean the rims. 1. Using water pressure washer, rinsed off wheels. 3. Let the wheel cleaner do its thing for minute and then using the brush, brush the wheel making sure the wheel cleaner gets into any part of the wheel. This will help remove any dirt or brake dust from the wheels. I did repeated step 15 & this step 16 twice, so to make sure the whole wheel was covered. 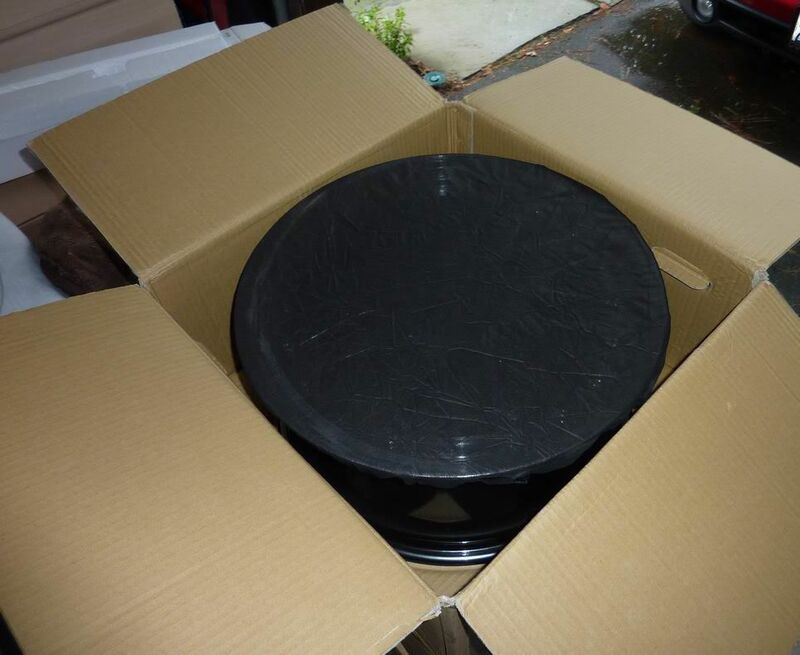 I will provide update on center caps tomorrow, on what I did before I provided the wheels to my friend who is doing a custom powder coat paint job for me. So before I took my wheels to my friends for painting, I had to take the tires off the wheels. I wanted to make sure I understood the complete condition of the wheels, so a quick pop down the local tire store and deal done, to remove tires from wheels and bring back later to put back on and balance up. Tires now off the wheels, as you can see from the below pictures. Wheels in FX35, going off to my mates. Tires in the garage. I will be ordering two new tires, as one as screw in it and the other is worn on inside, so will need to get tracking done as well. 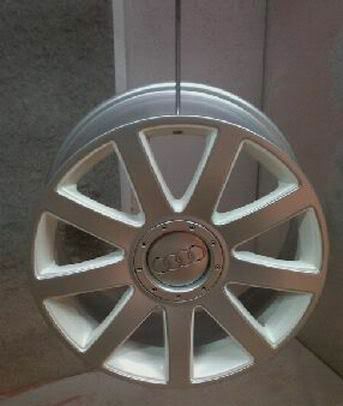 Taking the Audi 9 Spoke RS4 wheels, center caps audi logo sign off, in preperation for repaint. 1. This is a straight forward job. 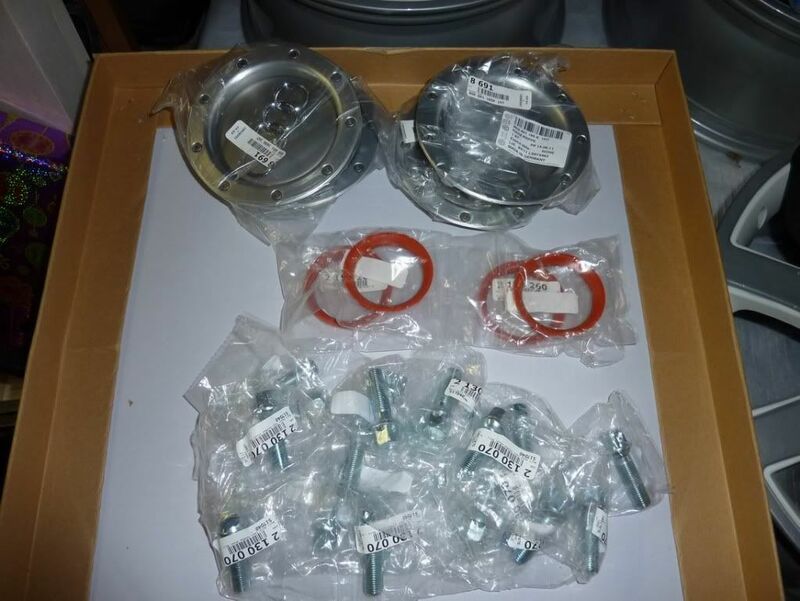 Make sure you have a clean surface area to work on and inspect the center caps to make sure they are all the same spec with all parts on them. 2. On the back of the center caps there are four silver tabs - you can see two of them in the below picture circled in black. 3. With flat head screw driver, you need to push down on these tabs. 5. You can now pull the audi logo sign off with your hands, still be gentle as you still might break the audi logo. 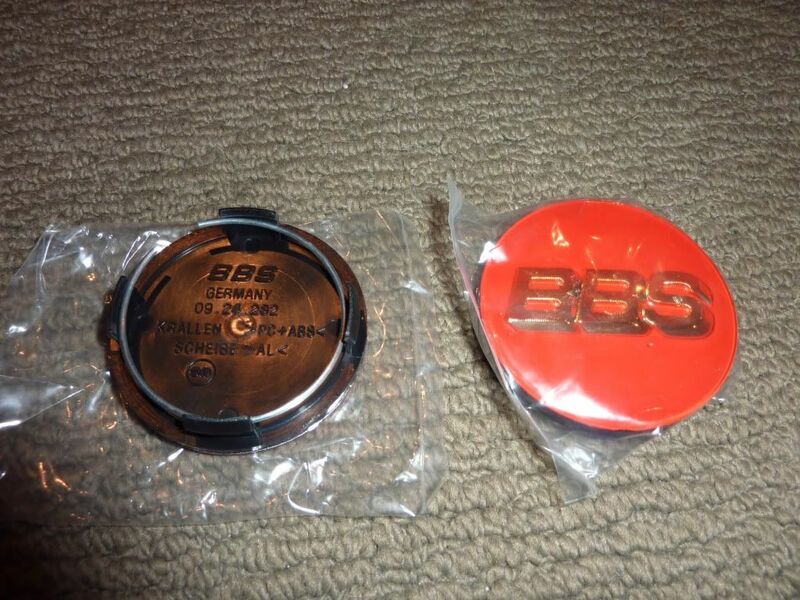 Your center cap and logo will now look as below picture. Wheels painted and finished. Had to do them twice due to first matt silver finish didn't look good and little accident with one of the wheels!! Will update more with wheels on the car later this week. 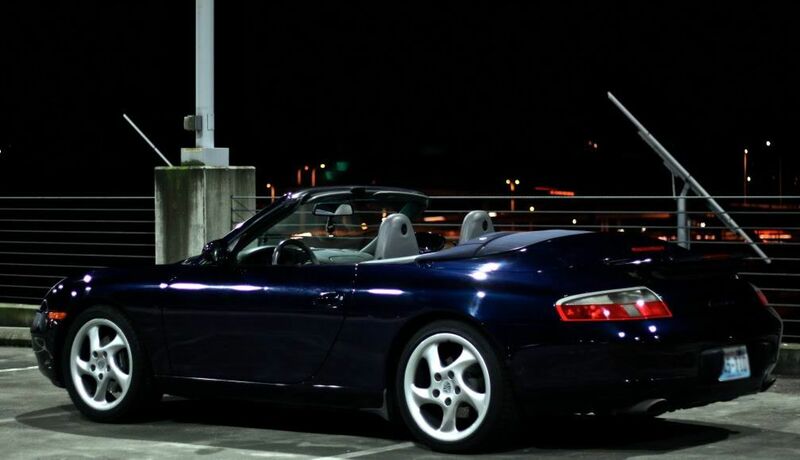 Sadly in day light I still don't like the Silver finish and so off they went again to be painters, in the mean while I went and order myself some new wheels - 19 x 8.5, new tires, spacers, lug bolts, lug locks and a 996 cabriolet beetle my new toy for the summer, just got this week , too damn expensive to mod, but will be cleaning it alot. Lets see if you can figure out what wheels I got? Look inside, any idea yet? Maybe this picture gives you an idea? I will getting tires put on them tomorrow and then on the car this weekend, then I need to figure out which car shall I drive? !